Created over 30 years ago, LPG® endermologie is a leader in professional technological innovations that enhance health and natural beauty. “Endermologie” is from the French term meaning “through the dermis”. This scientifically proven treatment works through the skin to mobilize the underlying tissues and cause positive change from within. 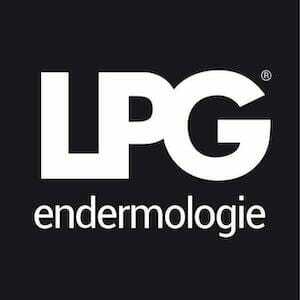 With over 30 years of expertise, LPG® endermologie is the beauty, health and anti-aging secret of many men and women worldwide offering natural and visible results. Discover Mobilift M6® – acting like a real skin workout, the motorized flaps awaken the natural synthesis of essential rejuvenating substances. This cell stimulation then helps fibroblasts (rejuvenating cells) to boost their production of collagen (firmness), elastin (suppleness), and hyaluronic acid (volume and hydration), naturally present in our skin with results visible from the first session. The power of face endermologie® and the Mobilift M6® device are evident in the broad spectrum of its offerings for men and women including: firming, face contouring, lifting, smoothing wrinkles, improving complexion, reducing scars, reducing the double chin and improving the overall quality of the skin. Fibroblasts are responsible for creating the basic building blocks of the dermis, giving it density, softness, and radiance: collagen for firmness, elastin for suppleness, and hyaluronic acid for volume and hydration. At 25 years of age and despite a perfectly healthy lifestyle, production slows. Skin begins to sag and lose its density, creating wrinkles and furrows, mostly on the face, neck, décolleté, and hands. Other external factors, such as sun, stress, tobacco, or even pollution, can accelerate the appearance of wrinkles. Patented LPG® treatment head exerts micro-pulsations over the skin surface to simulate it and thoroughly reactivate the synthesis process of fibroblasts. The production of new, good collagen and natural hyaluronic acid gives the dermis back some of its volume and thus “lifts” the bottom of the wrinkle. The synthesis of elastin makes the skin more supple and more resistant to multiple muscular micro-contractions which are often the cause of “expression lines”. Targeted Treatment: 10 minutes. This treatment targets any area of concern including the forehead and eyes to combat wrinkles, puffiness and dark circles. Signature Treatment: Perfect Eyes & Lips – 40 minutes. Smoothes wrinkles around the eyes and mouth, lifts the eyelids to enhance the look and re-plumps the lips. Signature Treatment: Skin Awakening – 40 minutes. Unifies skin complexion, tightens pores and smoothes out face and neck wrinkles with a “new skin” effect. Signature Treatment: Cellular Stimulation – 75 minutes. Drains toxins, lightens the complexion, refines skin texture while smoothing out fine lines and wrinkles on the face, neck and hands. At 25 years of age and despite a perfectly healthy lifestyle, the production of the rejuvenating Fibroblasts slows. The face loses firmness and tonicity, the nasolabial folds (laugh lines) become deeper, and the eyelids become droopy. The skin gradually stretches, leading to a general sagging of the face. 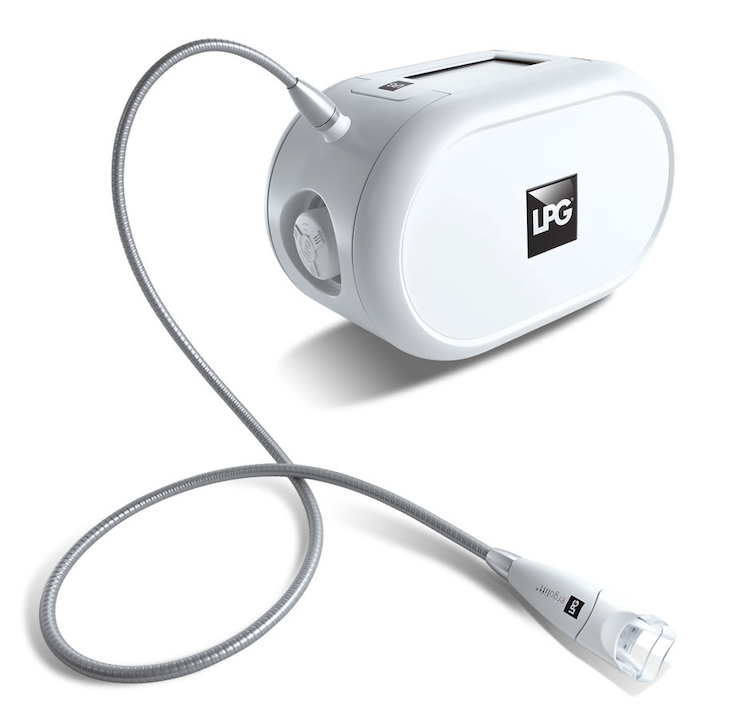 The patented LPG® treatment head intensely yet pleasantly exerts micro-pulsations on the skin’s surface. This veritable cutaneous (Skin) workout naturally and thoroughly reactivates the production of essential support fibres – collagen, elastin, and hyaluronic acid – for an immediate and lasting lifting effect. Gradually over the sessions, the skin is visibly re-densified and replenished from within. Wrinkles and fine lines are visibly reduced while preserving the face’s natural expression. Targeted Treatment: 10 minutes. This treatment targets any area of concern and can therefore be utilised to firm the skin. Classic Treatment: Age-defying re-plumping, firming, refining – 30 minutes. Harmonizes face volumes, restores skin density while filling out wrinkles and fine lines from within. 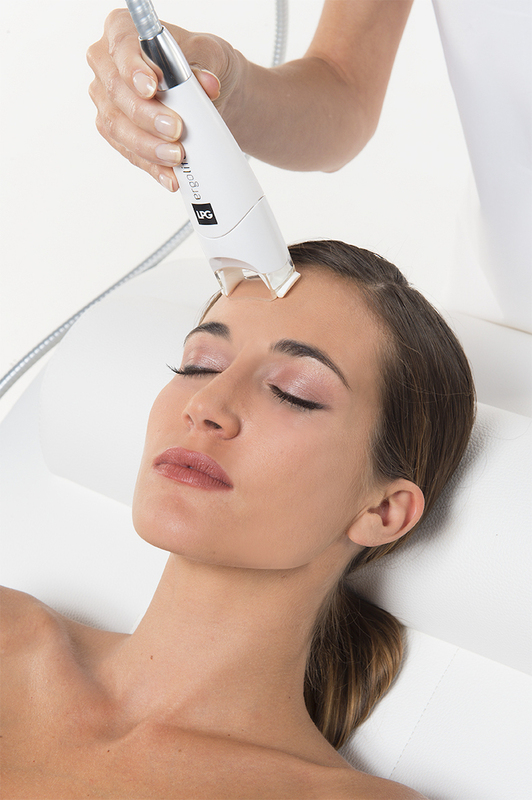 The patented LPG® treatment head uses micro-pulsations over the entire surface of the face and neck to give the skin a real cutaneous workout. This unique, painless stimulation gently exfoliates the skin and oxygenates the tissues while jump-starting microcirculation to even out the complexion. At 25 years of age and despite a perfectly healthy lifestyle, cellular activity slows and the first signs of ageing appear. Stress, pollution, lack of sleep, and tobacco use are also factors that blemishes skin: venous and lymphatic microcirculation slows, and toxins build up. Skin then loses its radiance and the complexion becomes dull. 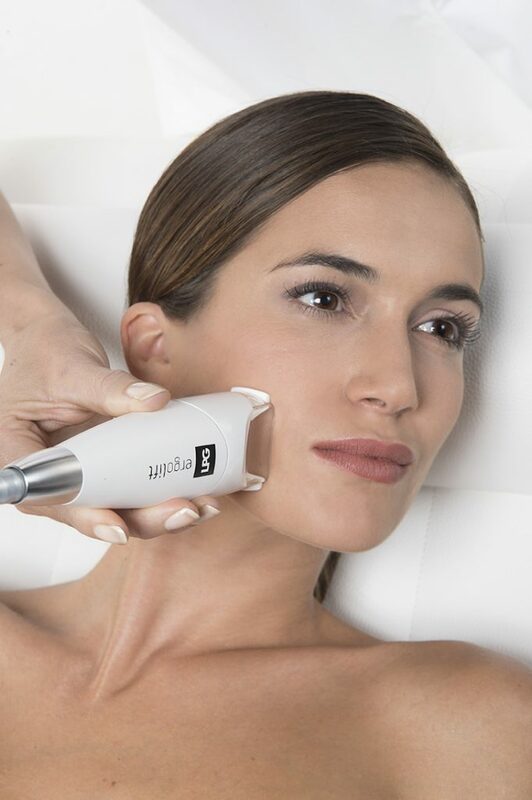 The patented LPG® treatment head uses micro-pulsations over the entire surface of the face and neck to give the skin a real cutaneous workout. This unique, painless stimulation gently exfoliates the skin and oxygenates the tissues while jump-starting microcirculation to even out the complexion. On the surface, skin is gently exfoliated, tissue is oxygenated, and microcirculation is stimulated for an even complexion. Even after the first session, skin is softer and the complexion is twice as radiant. It’s the perfect way to get instantly healthy-looking skin before a party or event. Classic Treatment: Glow – 15 minutes. Gently exfoliates and reactivates microcirculation to even out the complexion and improve skin brightness. Classic Treatment: Detox – 20 minutes. Drains toxins and “re-oxygenates” the skin for a purified, radiant complexion. Double chin is hardly aesthetically pleasing, and it affects both men and women of all ages: it distorts your facial features and makes your face heavier. It is generally caused by the accumulation of fatty masses, but can also arise as a side effect of sagging skin, to reduce synthesis of natural collagen and elastin fibres. Using the different settings of the LPG® treatment head, the endermologie® technique stimulates adipocytes (fat cells) to efficiently release the fat stored there. This technique also helps to redraw the contours of the face with a firming action that has a tightening effect. Stimulating adipocytes (fat cells) enables stored fat to be efficiently released so as to restore balance to the face’s volume – Lipolysis. Targeted Treatment: 10 minutes. This treatment targets any area of concern and can therefore be utilised to reduce the double chin and contour the face.